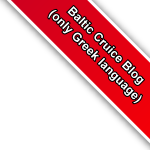 This website was created for fun and purpose is to help all those who intend to travel to the Baltic with cruise ship Emerald Princess. Here you can find the best places - attractions for visit in 7 ports (Top Points), you can read Information about each port and ship, nice photos and maps for each port and Top Point!! As you understand our English are not so good so sorry for any errors who you found in our text. All text, videos and photos are from other websites and some information may not be correct! Note!! for year 2013 the Baltic cruise will be by the Emerald Princess but with some changes! 2013 itnerary don't has the port of Gdansk (Gdynia). Princess has add the ports of Aarhus (Denmark) and Berlin (Warnemunde), Germany. Soon will update our guide with information about new ports!! Here you can see the Weather of Ports who we visit(Current Weather, 10 Days Forecast & History). Here you can see a map with the Weather of Ports who we visit. Help us make this website better!! Send us your favorite Top Points or any other information about this cruise!! Do you plan a cruise at Greek Islands?